Gloucester VA Links and News: Canadian Banking Fraud? See What This 12 Year Old Girl Knows. Amazing video. This 12 year old girl knows more about world banking and finances than most people will ever understand because most people do NOT want to know what is really happening. She talks about the Canadian banking system, however, it applies to just about all banking systems throughout the world. Think the US is any different? No way. There are some interesting arguments on the comments of the video. It's amazing how many people have no clue and will argue to no end on issues they simply do not understand. One area where agreement is made, this 12 year old seems rather well trained. Does she actually understand what she is saying? It's a tough question. Is paper money actually a debt? 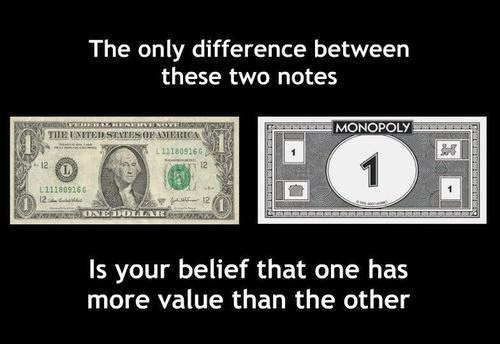 Well if you read the wording on paper money, then you will quickly realize that it is in fact a debt and not a currency. Coinage is a currency. Paper money is a debt. Federal Reserve Notes are the only type of U.S. banknote currently produced. Federal Reserve Notes are authorized by Section 16 of the Federal Reserve Act of 1913(codified at 12 U.S.C. § 411) and are issued to the Federal Reserve Banks at the discretion of the Board of Governors of the Federal Reserve System. The notes are then put into circulation by the Federal Reserve Banks, at which point they become liabilities of the Federal Reserve Banks and obligations of the United States. Now that you understand what paper money is, wait, are you sure you understand what paper money is? Do you really understand what the above is saying to you? You can go through all the links above and try to educate yourself to the best of your ability, but chances are very high that you will be more confused than you already are. That's okay, it's designed to be confusing. We highlighted a key area for you to really ponder upon however. It's the Debt Monetizing. Wait, wouldn't that make paper money a debt obligation and not a currency? Play this game any way you want and you can control the economics of the country that this system is set up in. You can create economic downturns or economic booms. It matters not. It only matters what those in control want to do. Sorry, you get no vote in this. Let's hear it for the penny. Actual US currency. Maybe it's time to reconsider matters? http://en.wikipedia.org/wiki/Currency Some interesting further reading. You might learn something new.